Spring officially arrives this week and our meal plan will sure reflect that we have turned the page from winter to spring. This has been a long rough winter for lots of folks. We really make good use of the cabbage this time of the year and will be having it in various recipes this week. We will be ending the week with some great Basketball and our special Beirocks a tradition for our Big Game Parties. Thanks so much for sharing our first week of spring with us and helping to make this awesome Spring Meal Plan. Hope you have a fantastic week and come back to see us real soon! Lots of good Irish food on the menu, the reuben sandwich sounds great! Happy St. Pat's Day Miz Helen! Lots of yummy food! We're having a poke cake with our corned beef tonight too but we made mint chocolate poke cake instead. The best part of corned beef is the sandwiches the next day!! Thanks for sharing at the What's for Dinner party. 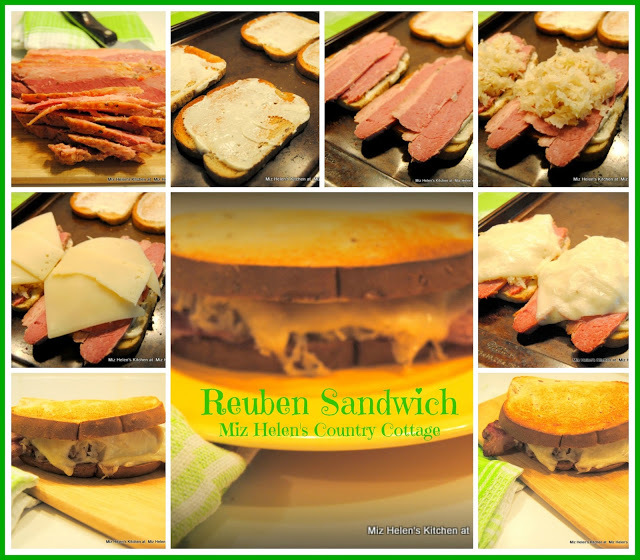 I love all of these recipes especially the rueben sandwich. Thanks for sharing this at our Cooking and Crafting with J & J. That spicy baked cabbage sounds incredible! I have half a head I need to use soon. I think I'll give it a try. 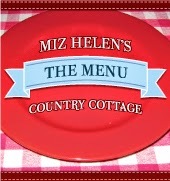 What a great menu! 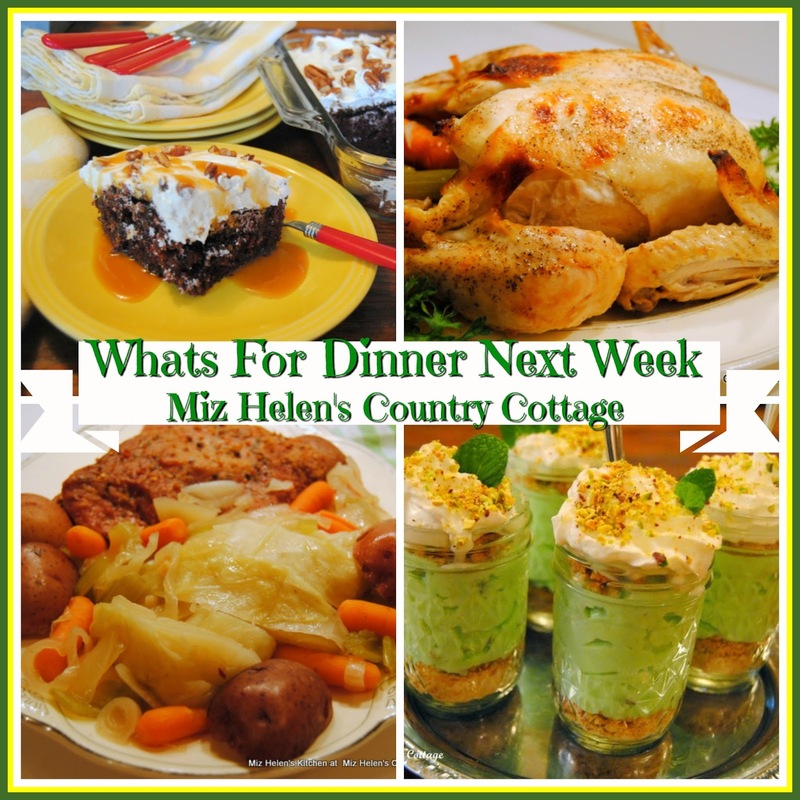 I love how you repurpose your leftovers so deliciously, Miz Helen, and your Pistachio dessert looks fantastic! Thank you so much for sharing and for being a part of the Hearth and Soul Link Party.